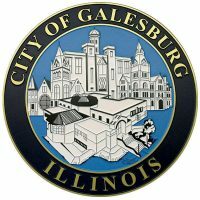 With snow still coming down, the City of Galesburg declared Friday that a snow emergency will go into effect as of 6:00 a.m. Saturday morning. During a snow emergency, citizens are reminded that an automatic parking prohibition will go into effect on all Galesburg City streets. Vehicles parked along city streets, with the exception in the central business district, during the emergency time will be subject to a ticket and tow. The parking prohibition will remain in effect until all streets are cleared. If you have questions, you are encouraged to contact the Public Works Department at 309-345-3623. More information can be found on the city’s website.